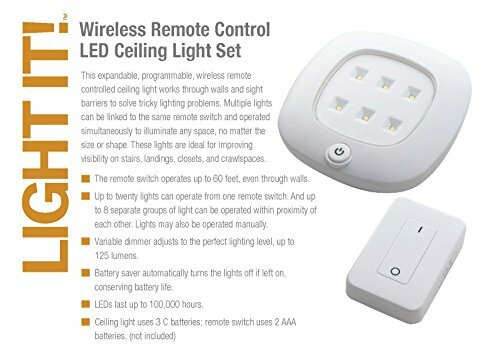 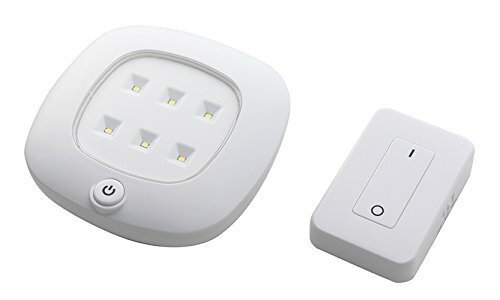 The Light It Wireless Remote Control LED Ceiling Light Set allows you to put bright light where it is needed, with no wiring. 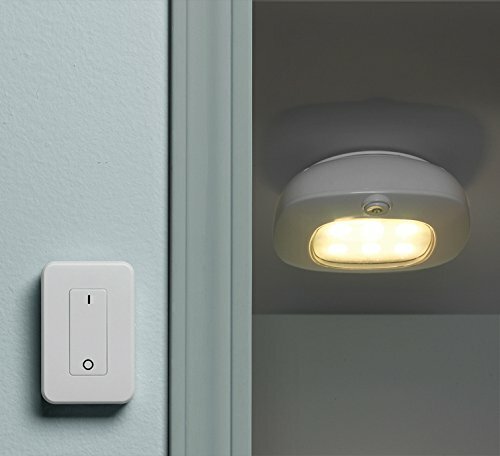 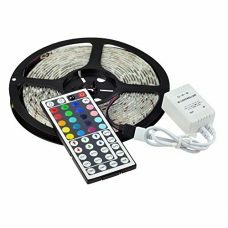 Up to 20 lights can be linked to the same remote control switch, which features a variable dimmer and an automatic battery-saving shutoff. 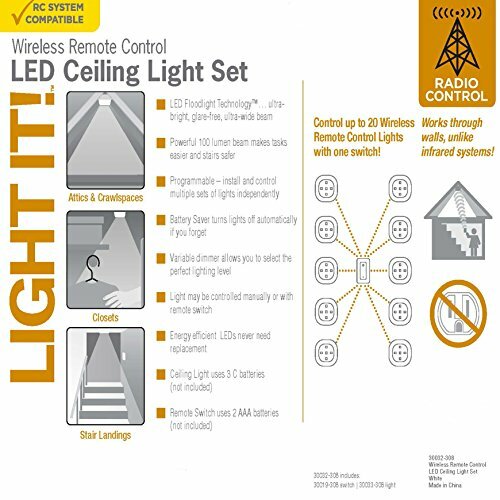 Up to eight separate groups of lights can be programmed to operate independently. 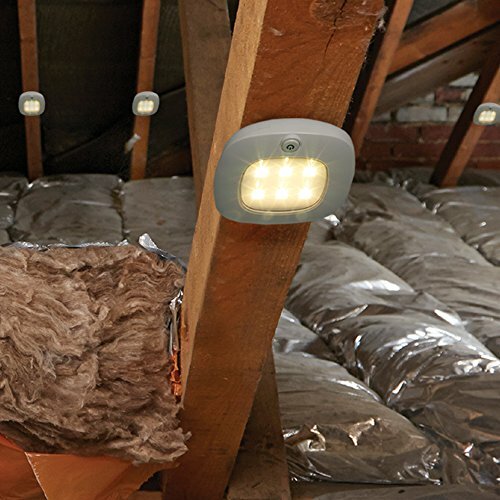 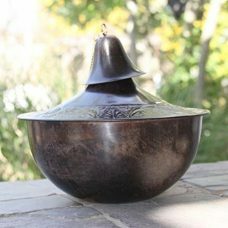 These are ideal for improving visibility on stairs, landings, closets and crawlspaces.